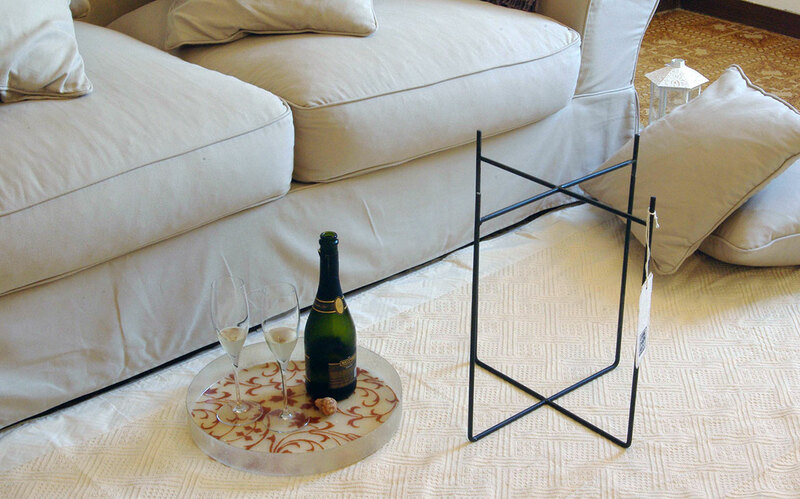 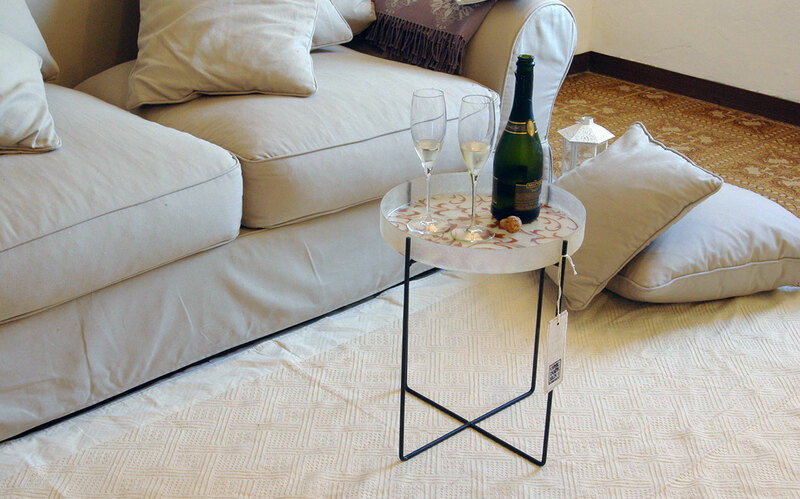 An elegant tray lying on thin iron legs: here it is the table "Prendi e vai." 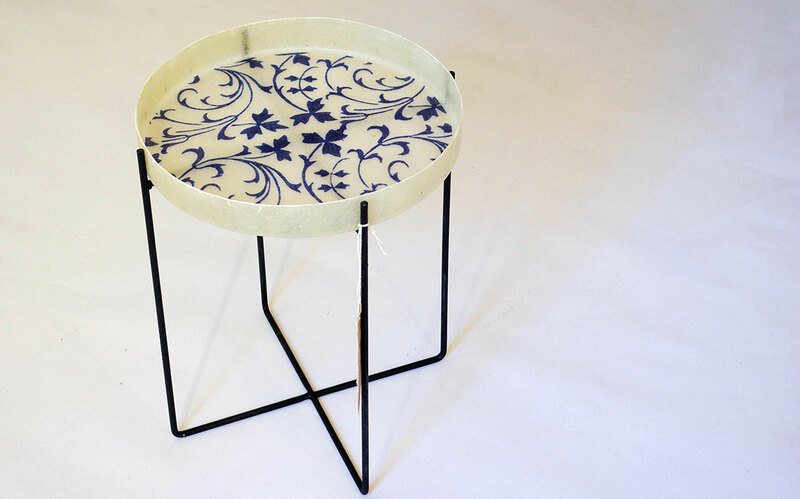 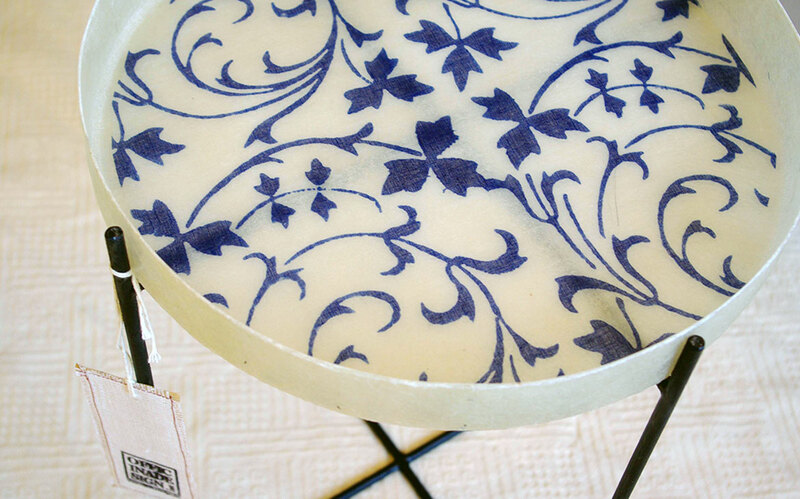 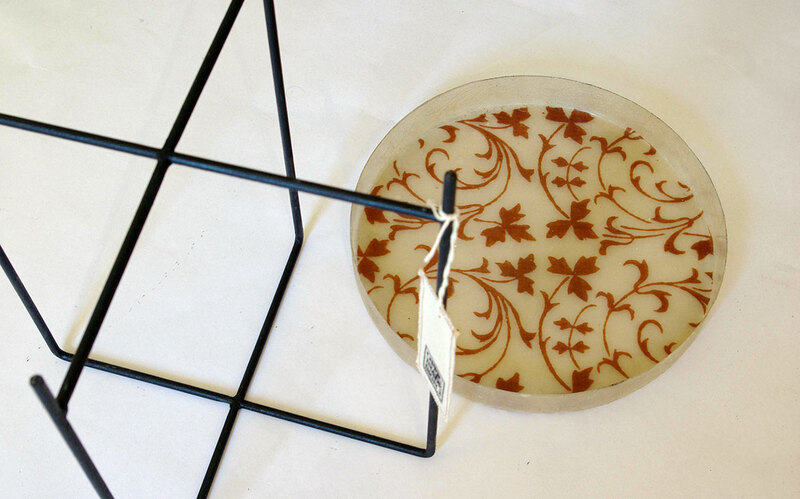 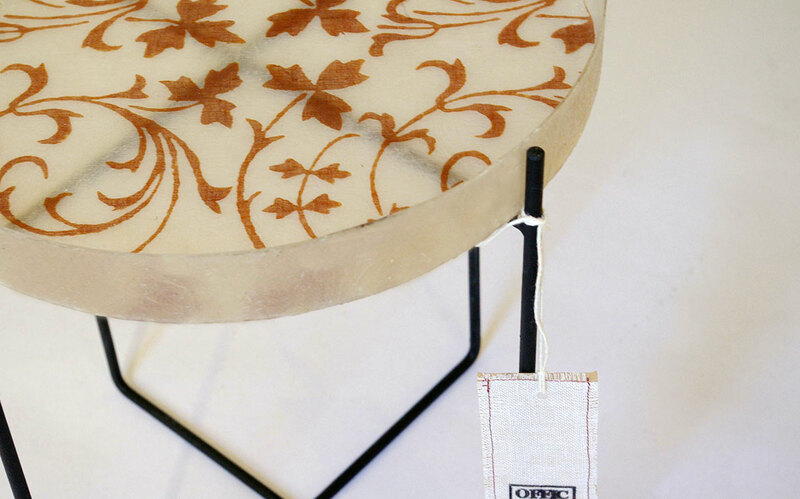 The hand-printed linen of the tray "shaped" in the fiberglass, makes it unique and original. 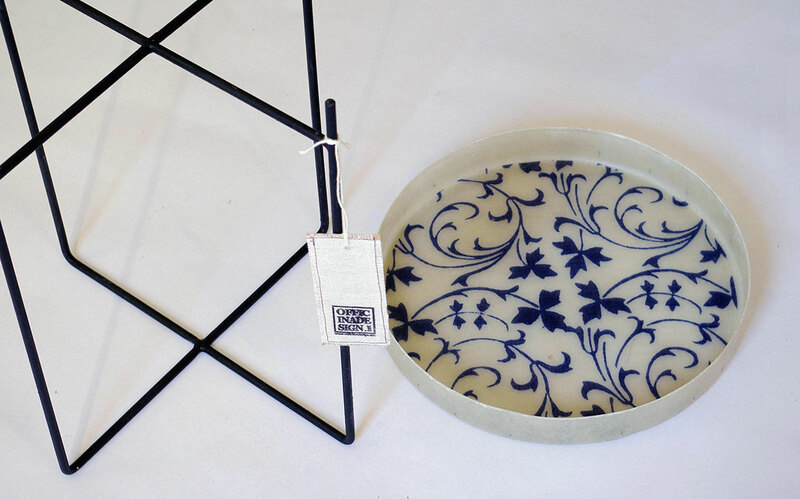 It's an object of design that is simply perfect in any type of environment.